Describe the basic processes, functions, and influences of weathering and erosion. Describe the various types of mass wasting processes. Compare the difference between fast and slow subsidence and how it may be limited. Describe how streams have the ability to erode and deposit sediment. Explain how groundwater can erodes limestone to form caves. Describe how wave actions erode coastlines and create coastal landforms. Explain how wind erodes and transports sediment in arid regions of the world. Describe how glaciers erode and carve out the landscape. Weathering is the process that changes solid rock into sediments. With weathering, rock is disintegrated into smaller pieces. Once these sediments are separated from the rocks, erosion is the process that moves the sediments away from it's original position. The four forces of erosion are water, wind, glaciers, and gravity. Water is responsible for most erosion. Water can move most sizes of sediments, depending on the strength of the force. Wind moves sand-sized and smaller pieces of rock through the air. Glaciers move all sizes of sediments, from extremely large boulders to the tiniest fragments. Gravity moves broken pieces of rock, large or small, down slope. These forces of erosion will be covered later. While plate tectonics forces work to build huge mountains and other landscapes, the forces of weathering and mass wasting gradually wear those rocks and landscapes away, called denudation. Together with erosion, tall mountains turn into hills and even plains. The Appalachian Mountains along the east coast of North America were once as tall as the Himalayas. No human being can watch for millions of years as mountains are built, nor can anyone watch as those same mountains gradually are worn away. But imagine a new sidewalk or road. The new road is smooth and even. Over hundreds of years, it will completely disappear, but what happens over one year? What changes would you see? What forces of weathering wear down that road, or rocks or mountains over time? Mechanical weathering, also called physical weathering, breaks rock into smaller pieces. These smaller pieces are just like the bigger rock, just smaller. That means the rock has changed physically without changing its composition. The smaller pieces have the same minerals, in just the same proportions as the original rock. There are many ways that rocks can be broken apart into smaller pieces. Ice wedging, also called freeze-thaw weathering, is the main form of mechanical weathering in any climate that regularly cycles above and below the freezing point. 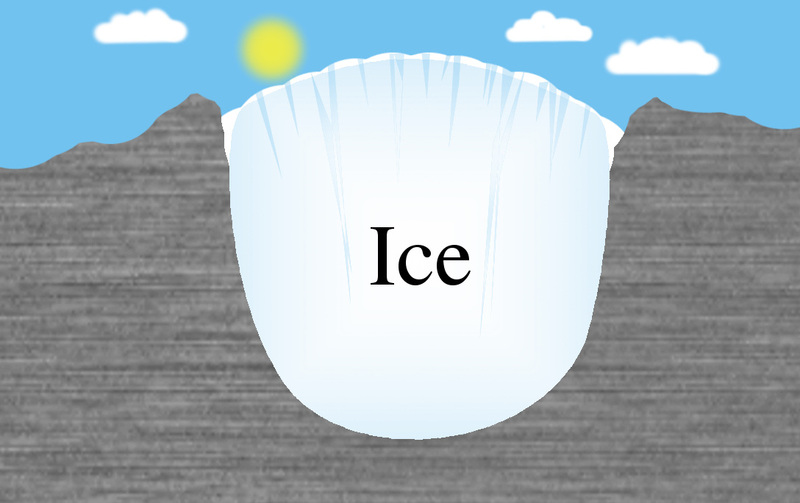 Ice wedging works quickly, breaking apart rocks in areas with temperatures that cycle above and below freezing in the day and night, and also that cycle above and below freezing with the seasons. Ice wedging breaks apart so much rock that large piles of broken rock are seen at the base of a hillside called talus. Ice wedging is common in Earth’s polar regions and mid latitudes, and also at higher elevations, such as in the mountains. Abrasion is another form of mechanical weathering. In abrasion, one rock bumps against another rock. Gravity causes abrasion as a rock tumbles down a mountainside or cliff. Moving water causes abrasion as particles in the water collide and bump against one another. Strong winds carrying pieces of sand can sandblast surfaces. Ice in glaciers carries many bits and pieces of rock. Rocks embedded at the bottom of the glacier scrape against the rocks below. Abrasion makes rocks with sharp or jagged edges smooth and round. If you have ever collected beach glass or cobbles from a stream, you have witnessed the work of abrasion. Now that you know what mechanical weathering is, can you think of other ways it could happen? Plants and animals can do the work of mechanical weathering. This could happen slowly as a plant’s roots grow into a crack or fracture in rock and gradually grow larger, wedging open the crack. Burrowing animals can also break apart rock as they dig for food or to make living spaces for themselves. Mechanical weathering increases the rate of chemical weathering. As rock breaks into smaller pieces, the surface area of the pieces increases. With more surfaces exposed, there are more surfaces on which chemical weathering can occur. Chemical weathering is the other important type of weathering. Chemical weathering is different from mechanical weathering because the rock changes, not just in size of pieces, but in composition. That is, one type of mineral changes into a different mineral. Chemical weathering works through chemical reactions that cause changes in the minerals. Most minerals form at high pressure or high temperatures deep in the crust, or sometimes in the mantle. When these rocks reach the Earth’s surface, they are now at very low temperatures and pressures. This is a very different environment from the one in which they formed and the minerals are no longer stable. In chemical weathering, minerals that were stable inside the crust must change to minerals that are stable at Earth’s surface. Remember that the most common minerals in Earth’s crust are the silicate minerals. Many silicate minerals form in igneous or metamorphic rocks deep within the earth. The minerals that form at the highest temperatures and pressures are the least stable at the surface. Clay is stable at the surface and chemical weathering converts many minerals to clay. There are many types of chemical weathering because there are many agents of chemical weathering. Water is the most important agent of chemical weathering. Two other important agents of chemical weathering are carbon dioxide and oxygen. A water molecule has a very simple chemical formula, H2O, two hydrogen atoms bonded to one oxygen atom. But water is pretty remarkable in terms of all the things it can do. Water is a polar molecule; the positive side of the molecule attracts negative ions and the negative side attracts positive ions. So water molecules separate the ions from their compounds and surround them. Water can completely dissolve some minerals, such as salt. Hydrolysis is the name of the chemical reaction between a chemical compound and water. When this reaction takes place, water dissolves ions from the mineral and carries them away. These elements have undergone leaching. Through hydrolysis, a mineral such as potassium feldspar is leached of potassium and changed into a clay mineral. Clay minerals are more stable at the Earth’s surface. Carbon dioxide (CO2) combines with water as raindrops fall through the atmosphere. This makes a weak acid, called carbonic acid. Carbonic acid is a very common in nature where it works to dissolve rock. Pollutants, such as sulfur and nitrogen, from fossil fuel burning, create sulfuric and nitric acid. Sulfuric and nitric acids are the two main components of acid rain, which accelerate chemical weathering. Oxidation is a chemical reaction that takes place when oxygen reacts with another element. Oxygen is very strongly chemically reactive. The most familiar type of oxidation is when iron reacts with oxygen to create rust. Minerals that are rich in iron break down as the iron oxidizes and forms new compounds. Iron oxide produces the red color in soils. Now that you know what chemical weathering is, can you think of some other ways chemical weathering might occur? Chemical weathering can also be contributed to by plants and animals. As plant roots take in soluble ions as nutrients, certain elements are exchanged. Plant roots and bacterial decay use carbon dioxide in the process of respiration. Weathering rates depend on several factors. These include the composition of the rock and the minerals it contains as well as the climate of a region. Different rock types weather at different rates. Certain types of rock are very resistant to weathering. Igneous rocks, especially intrusive igneous rocks such as granite, weather slowly because it is hard for water to penetrate them. Other types of rock, such as limestone, are easily weathered because they dissolve in weak acids. Rocks that resist weathering remain at the surface and form ridges or hills. Devil’s Tower in Wyoming is an igneous rock from beneath a volcano. As the surrounding less resistant rocks were worn away, the resistant center of the volcano remained behind. Different minerals also weather at different rates. Some minerals in a rock might completely dissolve in water, but the more resistant minerals remain. In this case, the rock’s surface becomes pitted and rough. When a less resistant mineral dissolves, more resistant mineral grains are released from the rock. Temperature increases: Chemical reactions proceed more rapidly at higher temperatures. For each 10 degrees C increase in average temperature, the rate of chemical reactions doubles. Precipitation increases: More water allows more chemical reactions. Since water participates in both mechanical and chemical weathering, more water strongly increases weathering. So how do different climates influence weathering? A cold, dry climate will produce the lowest rate of weathering. A warm, wet climate will produce the highest rate of weathering. The warmer a climate is, the more types of vegetation it will have and the greater the rate of biological weathering. This happens because plants and bacteria grow and multiply faster in warmer temperatures. Once rock material has been broken down into smaller, unstable pieces by weathering, the material has the potential to move down slope called mass wasting (also called a mass movement or a landslide) because of gravity. Before looking into the various types of landslides, the factors that influence them must be examined. Ultimately, this comes down to the dynamics of two factors: gravity and steepness of slope. The steeper the slope, the greater potential for gravity to pull objects down. The shallower the slope, the less effect gravity has on pulling objects down. There are several factors that influence mass wasting, but ultimately it is a battle between friction and gravity. If the friction on a rock is stronger than gravity for a particular slope, the rock material will likely stay. But if gravity is stronger, the slope will fail. The steeper the slope, the stronger the friction or rock strength must be to resist down slope motion. The steepest angle a slope can be before the ground will slide is about 35 degrees, called the angle of repose. Many times we will cut through a slope to make room for a road or other forms of development. So to help prevent the slope from sliding along these cut areas, retaining walls must be build. More on this later. Another factor that determines mass wasting is the slope's material. Mass wasting is more prone on slopes that contain clay and shale. Without going into great detail here, the shape and composition of individual clay particles can absorb water and prevent water from peculating through the ground. A layer of clay on a slope can prevent water from filtering through the slope. Instead, the water stays near the surface and saturates the ground. This can cause the surface layers to lose friction and slide. A third factor that influences whether a slope will fail is the load or weight of that slope. Adding weight to a weakened slope can obviously cause it to slide easier, especially on steep slopes. This added weight tends to occur by building on top of weak slopes, increasing the steepness of the slope, or over-saturating the slope. Friction has been mentioned as a factor several times already, but there are a few more things must be said here. As already noted, as long as the friction along the slope is stronger than gravity, the ground is unlikely to slide. But if that friction is weakened, slope fail becomes more likely. There are several other ways friction can be reduced along a slope: wildfires, removal of vegetation, or adding too much water. Gravity is probably the ultimate driving force of mass wasting. The force of gravity pulls all things on the planet toward the center of the Earth. Without gravity, mass wasting would not occur. But unlike many of the other factors, humans have no influence or control on gravity. A region's climate can also determine the likelihood of a landslide. Climate is based on temperature and precipitation. Mass wasting is prone in the spring-time when snow melt, water saturation, and runoff is greatest. Also the type of climate will help determine the type of mass wasting. Humid climates tend to have slides, where water-saturated slopes fail and fall. Drier climates tend to have rocks that fall; especially early spring. Canyons and places prone to wildfires tend to have debris flows. The amount of water in the soil is a major factor in the stability of a slope. When you build a sand castle, water is needed to build the walls and towers. That is because water has surface tension and is attracted to each other. This allows you to build towers greater than the angle of repose. So a little water can actually prevent slopes from sliding. But too much water lubricates the individual grains of sediment decreasing friction between each grain, so the possibility of mass wasting increases. The increase of water within the soils can come from over watering, pipe or swimming pool leaks, or prolonged stormy weather. In Utah and many mountainous regions, spring runoff of snow melt increases the water content within the soil. Finally, gravity is the driving force of mass wasting. The force of gravity pulls all things on the planet toward the center of the Earth. But unlike many of the other factors, humans have no influence or control on gravity. For more information on what causes landslides in Utah, click here. A rock fall are the fastest of all landslide types and occurs when a rock falls through the air until it comes to rest on the ground - not too complicated. In Utah, they are common in the spring and fall because of freeze-thaw weathering. In the daytime, temperatures in the spring and fall tend to be above freezing, which allows liquid water to enter cracks within rocks. At night, the temperatures cool below freezing and the water within the rocks freezes and expands which causes the rock to break more. The following morning, the ice will melt and go deeper within the crack to refreeze later that night. This freeze-thaw action over time can cause rocks to break off and fall to the ground. The debris the accumulates at the base of these steep slopes is called talus. But rock falls can also occur when heavy precipitation is falling on a steep slope, causing the rocks to lose friction and fall. The YouTube video on the right is a rock fall captured in Taiwan in late August 2013, following heavy precipitation in the region. Rotational slides occur when the a landslide occurs in a curved manner concave to the sky. When this type of slide occurs, the upper surface of the slide tilts backwards toward the original slope and the lower surface moves away from the slope. They are common when the soil tends to be deep in clay or soft sediment deposits. The video on the right is a large landslide again in Taiwan in early September 2013 following every rainfall. Needless to say, they were having a bad few days in the region. Rather than rotating, a translational slide occurs when slope failure occurs parallel to the slope. Often times the slope failure occurs on soil composed of clay or shale, or along old fault lines, or previous slide areas. What makes translational slides dangerous is that they tend to flow faster and travel farther than rotational slides. The most expensive translational slide in U.S. history actually occurred in Thistle, Utah in 1983. Debris flows are one of the most common, but most dangerous of the various types of landslides because of their speed and consistency. 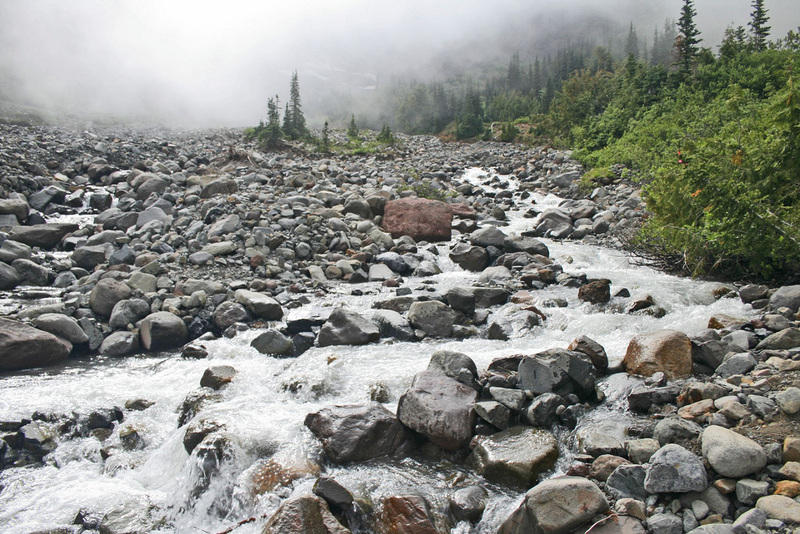 Debris flows tend to be a mixture of rock and water with two to three times the density of flooding streams. That density allows debris flows strip away the land and pick up objects as large as school buses. 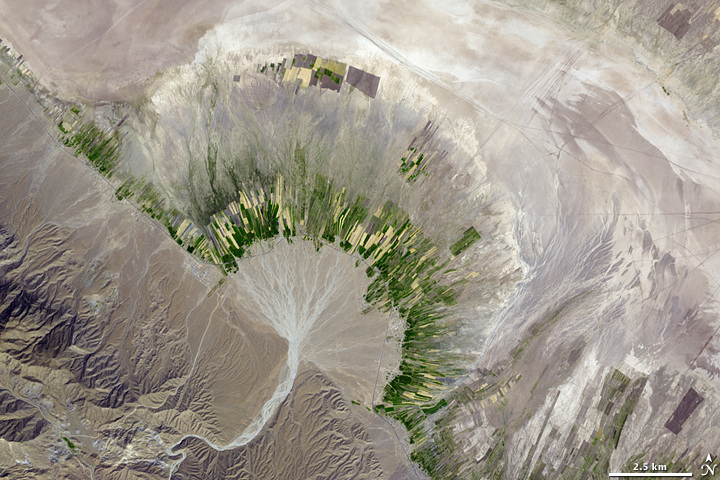 Debris flows are most common at the mouth of canyons along alluvial fans. Lets first explain an alluvial fan. When floods occur within the mouth of a canyon, either because of intense thunderstorms or snow melt, the erosive power of the water can pick up sediment and boulders - a debris flow. Now once the debris flow reaches the mouth of a canyon, the sediment gets deposited in a fan-shaped delta called an alluvial fan. The problem is that people like to live along alluvial fans because of their scenic view on the canyon. Another influence of debris flows is wildfires. When a wildfire strips an area of its vegetation, the bare soil is easily eroded away in either a thunderstorm or snow melt creating these debris flows. Because of Utah's topography and tendency to wildfires, debris flows are quite common. Lahars were mentioned in the module on volcanoes, but in essence they are volcanic landslides. Recall that volcanoes eject pyroclastic material ranging is size from ash to boulders. Now there tends to be two ways lahars occur. One is if a thunderstorm precipitates large amounts of moisture on the pyroclastic material and the pyroclastics flow down slope. The other option is if a volcano is snow-capped and the heat from the volcano causes some of the snow to melt and mix with the pyroclastic material. What makes lahars so dangerous is that they have the consistency of concrete and can travel hundreds of miles. For a breakdown of potential landslide types in the State of Utah, check out the Utah Geologic Survey. Ultimately preventing mass wasting is impossible because gravity will always exist, but smarter development can help minimize the risk and hazards. One component in landslide mitigation is basic drainage control of water. Recall that water can cause slopes to lose their friction as water lubricates individual grains of soil. And if you cut a slope and put a retaining wall for support, you may be preventing the water from filtering through. Thus you will often find drains at the base of retaining walls that allow underground water to within the slopes to drain out. If people dig into the base of a slope to create a road or a home site, the slope may become unstable and move downhill. This is particularly dangerous when the underlying rock layers slope towards the area. Ultimately preventing landslides is impossible because gravity will always exist. But smarter development can help minimize the risk and hazards created by landslides. One component in landslide mitigation is basic drainage control of water. Recall that water can cause slopes to lose their friction as water lubricates individual grains of soil. And if you cut a slope and put a retaining wall for support, you may be preventing the water from filtering through. Thus you will often find drains at the base of retaining walls that allow underground water to within the slopes to drain out. Slope support is one of most common types of mitigation for potential mass wasting. As mentioned above, a retaining wall can be built to support a steep slope. Next, the retaining wall must be anchored to the bedrock within the slope to hold the wall to the slope. Another type of slope support is simply planting vegetation. The roots of vegetation tend to grab and hold soil in place, so by planting various types of plants and trees can be a simple and cheap way to stabilize a slope. For more on what homeowners can do to minimize your risk to landslides in Utah, click here. Subsidence occurs when loose, water saturated sediment begins to compact causing the ground surface to collapse. Now there are two types of subsidence. Slow subsidence occurs when the water within the sediment is slowly squeezed out because of overlying weight. There are several examples of slow subsidence, but the best one is Venice, Italy. 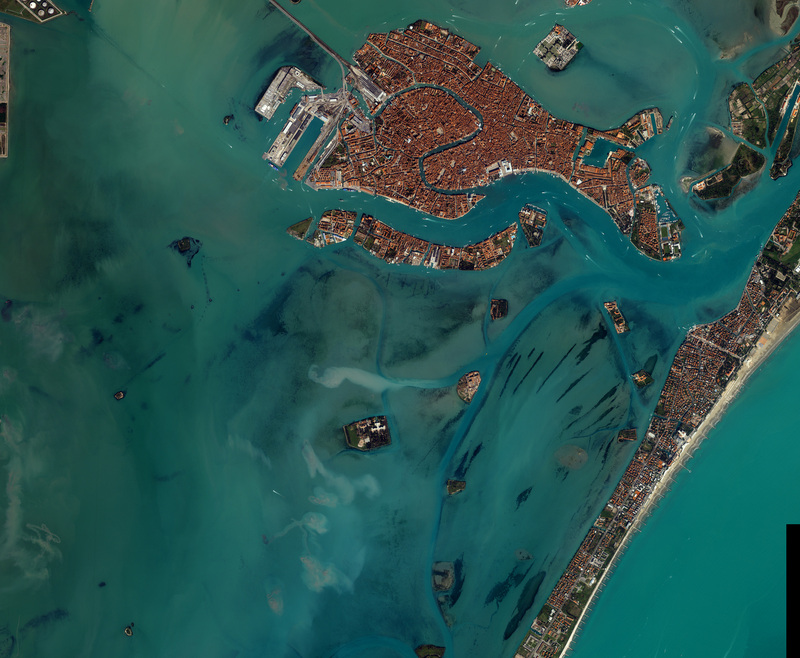 Venice (image on the right) was built at sea level on the now submerged delta of the Brenta River. The city is sinking because of the overlying weight of the city and pumping of ground water. The problem now is that sea levels are rising as glaciers melt and water expands due to global warming. An example of slow subsidence in the U.S. includes New Orleans, Louisiana. As we all know from Hurricane Katrina, the Mississippi River has a vast network of levees that prevent the massive river from flooding - most of the time. But by preventing the spring-time flooding, we are preventing the river from depositing sediment onto the land. 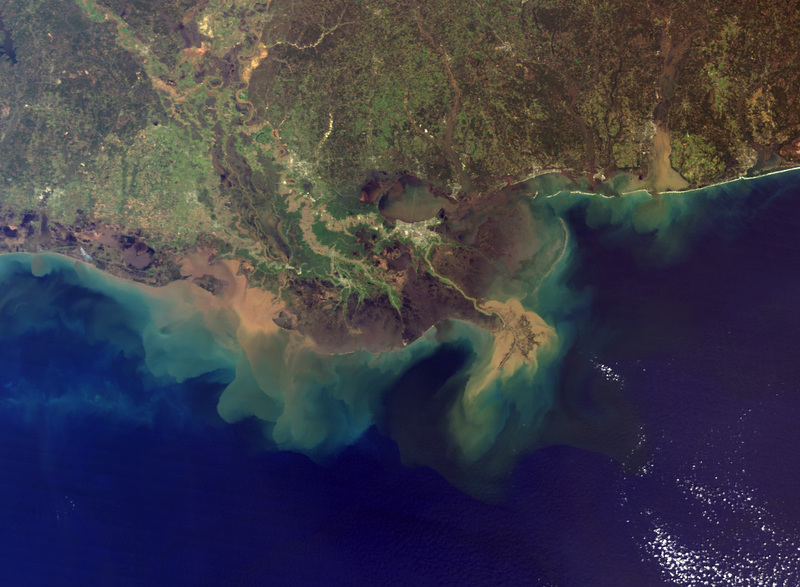 Instead, the sediment is being transported to the Gulf of Mexico creating the massive Mississippi delta. Fast subsidence occurs when naturally acidic water begins to dissolve limestone rock to form a network of water-filled underground caverns. But if droughts or pumping of ground water reduces the water table below the level of the caves, they caverns collapse creating surface sinkholes. A dramatic example of fast subsidence occurred in Guatemala City in 2007 when a massive sinkhole formed 300 feet deep. As noted above, the underground region surrounding Guatemala is composed of limestone that and a vast underground network of caverns. It is believed that the water table has been dropping in the region and thus draining the caves. Afterward the caves can not support the overlying weight and collapse in. Streams, any running water from a rivulet to a raging river, complete the hydrologic cycle by returning precipitation that falls on land to the oceans. Some of this water moves over the surface and some moves through the ground as groundwater. Flowing water does the work of both erosion and deposition. Flowing streams pick up and transport weathered materials by eroding sediments from their banks. Streams also carry ions and ionic compounds that dissolve easily in the water. Sediments are carried as the following loads: dissolved, suspended, and bed. A dissolved load is composed of ions in solution. 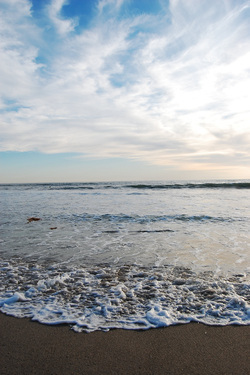 These ions are usually carried in the water all the way to the ocean. Sediments carried as solids as the stream flows are called a suspended load. The size of particles that can be carried within a load is determined by the stream’s velocity. Faster streams can carry larger particles. Streams that carry larger particles have greater competence. Streams with a steep gradient (slope) have a faster velocity and greater competence. Particles that are too large to be carried as suspended loads are bumped and pushed along the stream bed, called bed load. Bed load sediments do not move continuously, but rather in intermittent movements, called saltation. Streams with high velocities and steep gradients do a great deal of down cutting into the stream bed, which is primarily accomplished by movement of particles that make up the bed load. As a stream flows from higher elevations, like in the mountains, towards lower elevations, like the ocean, the work of the stream changes. 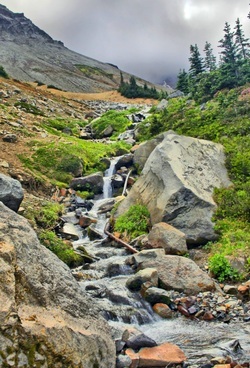 At a stream’s headwaters, often high in the mountains, gradients are steep. The stream moves fast and does lots of work eroding the stream bed. As a stream moves into lower areas, the gradient is not as steep. Now the stream does more work eroding the edges of its banks. Many streams develop curves in their channels called meanders. As streams move onto flatter ground, the stream erodes the outer edges of its banks to carve a floodplain, which is a flat level area surrounding the stream channel. Base level is where a stream meets a large body of standing water, usually the ocean, but sometimes a lake or pond. Streams work to down cut in their stream beds until they reach base level. The higher the elevation, the farther the stream is from where it will reach base level and the more cutting it has to do. Movement of the Mississippi delta. As a stream gets closer to base level, its gradient lowers and it deposits more material than it erodes. On flatter ground, streams deposit material on the inside of meanders. A stream’s floodplain is much broader and shallower than the stream’s channel. When a stream flows onto its floodplain, its velocity slows and it deposits much of its load. These sediments are rich in nutrients and make excellent farmland. A stream at flood stage carries lots of sediments. When its gradient decreases, the stream overflows its banks and broadens its channel. The decrease in gradient causes the stream to deposit its sediments, the largest first. These large sediments build a higher area around the edges of the stream channel, creating natural levees. When a river enters standing water, its velocity slows to a stop. The stream moves back and forth across the region and drops its sediments in a wide triangular-shaped deposit called a delta. If a stream falls down a steep slope onto a broad flat valley, an alluvial fan develops. Alluvial fans generally form in arid regions. Ground water is a strong erosional force, as it works to dissolve away solid rock. Carbonic acid is especially good at dissolving the rock limestone. Working slowly over many years, ground water travels along small cracks. The water dissolves and carries away the solid rock gradually enlarging the cracks, eventually forming a cave. Ground water carries the dissolved minerals in solution. The minerals may then be deposited, for example, as stalagmites (grows from the top) or stalactites (grows from the bottom). If a stalactite and stalagmite join together, they form a column. One of the wonders of visiting a cave is to witness the beauty of these amazing and strangely captivating structures. Caves also produce a beautiful rock, formed from calcium carbonate, travertine. Ground water saturated with calcium carbonate precipitates as the mineral calcite or aragonite. Mineral springs that produce travertine can be hot, warm or even cold. If the roof of a cave collapses, a sinkhole could form. Some sinkholes are large enough to swallow up a home or several homes in a neighborhood. Waves are important for building up and breaking down shorelines. Waves transport sand onto and off of beaches, transport sand along beaches, carves structures along the shore. The largest waves form when the wind is very strong, blows steadily for a long time, and blows over a long distance. The wind could be strong, but if it gusts for just a short time, large waves won’t form. Wave energy does the work of erosion at the shore. Waves approach the shore at some angle so the inshore part of the wave reaches shallow water sooner than the part that is further out. The shallow part of the wave ‘feels’ the bottom first. This slows down the inshore part of the wave and makes the wave ‘bend.’ This bending is called refraction. Wave refraction either concentrates wave energy or disperses it. In quiet water areas, such as bays, wave energy is dispersed, so sand is deposited. Areas that stick out into the water are eroded by the strong wave energy that concentrates its power on the wave-cut cliff. A wave-cut platform is the level area formed by wave erosion as the waves undercut a cliff. An arch is produced when waves erode through a cliff. When a sea arch collapses, the isolated towers of rocks that remain are known as sea stacks. Rivers carry sediments from the land to the sea. If wave action is high, a delta will not form. Waves will spread the sediments along the coastline to create a beach. Waves also erode sediments from cliffs and shorelines and transport them onto beaches. Beaches can be made of mineral grains, like quartz, rock fragments, and also pieces of shell or coral. Waves continually move sand along the shore and move sand from the beaches on shore to bars of sand offshore as the seasons change. In the summer, waves have lower energy so they bring sand up onto the beach. In the winter, higher energy waves bring the sand back offshore. Some features form by wave-deposited sand. These features include barrier islands and spits. A spit is sand connected to land and extending into the water. A spit may hook to form a tombolo. Shores that are relatively flat and gently sloping may be lined with long narrow barrier islands. Most barrier islands are a few kilometers wide and tens of kilometers long. In its natural state, a barrier island acts as the first line of defense against storms such as hurricanes. When barrier islands are urbanized, hurricanes damage houses and businesses rather than vegetated sandy areas in which sand can move. A large hurricane brings massive problems to the urbanized area. Intact shore areas protect inland areas from storms that come off the ocean. Where the natural landscape is altered or the amount of development make damage from a storm too costly to consider, people use several types of structures to attempt to slow down wave erosion. A groin is a long narrow pile of rocks built perpendicular to the shoreline to keep sand at that beach. A breakwater is a structure built in the water parallel to the shore in order to protect the shore from strong incoming waves. A seawall is also parallel to the shore, but it is built onshore. People do not always want to choose safe building practices, and instead choose to build a beach house right on the beach. Protecting development from wave erosion is difficult and expensive and it doesn't always work. The northeastern coast of Japan was protected by anti-tsunami seawalls, yet waves from the 2011 tsunami that resulted from the Tohoku earthquake washed over the top of some seawalls and caused others to collapse. Japan is now planning to build even higher seawalls to prepare for any future (and inevitable) tsunami. The power of wind to erode depends on particle size, wind strength, and whether the particles are able to be picked up. Wind is a more important erosional force in arid than humid regions. Wind transports small particles, such as silt and clay, over great distances, even halfway across a continent or an entire ocean basin. Particles may be suspended for days. Wind more easily picks up particles on ground that has been disturbed, such as a construction site or a sand dune. Just like flowing water, wind transports particles as both bed load and suspended load. For wind, bed load is made of sand-sized particles, many of which move by saltation. The suspended load is very small particles of silt and clay. Desert varnish in Arches NP. Wind is a stronger erosional force in arid regions than it is in humid regions because winds are stronger. In humid areas, water and vegetation bind the soil so it is harder to pick up. In arid regions, small particles are selectively picked up and transported. As they are removed, the ground surface gets lower and rockier, causing deflation. What is left is desert pavement, a surface covered by gravel sized particles that are not easily moved by wind. Particles moved by wind do the work of abrasion. As a grain strikes another grain or surface it erodes that surface. Abrasion by wind may polish natural or human-made surfaces, such as buildings. Stones that have become polished and faceted due to abrasion by sand particles are called ventifacts. Exposed rocks in desert areas often develop a dark brown to black coating called desert varnish. Wind transports clay-sized particles that chemically react with other substances at high temperatures. The coating is formed of iron and manganese oxides. 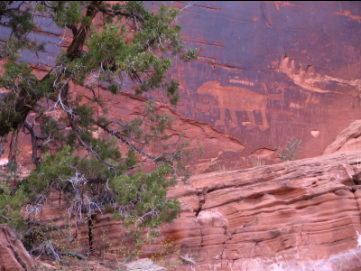 Often times petroglyphs are carved into the desert varnish by earlier civilizations in arid regions. Deserts and seashores sometimes have sand dunes. Beach dunes have different compositions depending on their location. Beach dunes are usually quartz because in humid areas other minerals weather into clays. In the tropics, sand dunes may be composed of calcium carbonate, which is common. 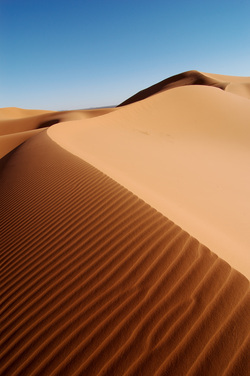 In deserts, sand dunes may be composed of a variety of minerals. There is little weathering and so less stable minerals are left behind. Dune sands are usually very uniform in size and shape. Particles are sand-sized, because larger particles are too heavy for the wind to transport by suspension. They are rounded, since rounded grains roll more easily than angular grains. For sand dunes to form there must be an abundant supply of sand and steady winds. A strong wind slows down, often over some type of obstacle, such as a rock or some vegetation and drops its sand. As the wind moves up and over the obstacle, it increases in speed. It carries the sand grains up the gently sloping, upwind side of the dune by saltation. As the wind passes over the dune, its speed decreases. Sand cascades down the crest, forming the slip face of the dune. The slip face is steep because it is at the angle of repose for dry sand, about 34 degrees. Wind deposits dune sands layer by layer. If the wind changes directions, cross beds form. Cross beds are named for the way each layer is formed at an angle to the ground. The types of sand dune that forms depends on the amount of sand available, the character and direction of the wind, and the type of ground the sand is moving over. Windblown silt and clay deposited layer on layer over a large area are loess, which comes from the German word loose. Loess deposits form downwind of glacial outwash or desert, where fine particles are available. Loess deposits make very fertile soils in many regions of the world. Fine-grained mud in the deep ocean is formed from silts and clays brought from the land by wind. The particles are deposited on the sea surface, then slowly settle to the deep ocean floor, forming brown, greenish, or reddish clays. Volcanic ash may also settle on the seafloor. Glaciers cover about 10 percent of the land surface near Earth’s poles and they are also found in high mountains. During the Ice Ages, glaciers covered as much as 30 percent of Earth. Around 600 to 800 million years ago, geologists think that almost all of the Earth was covered in snow and ice, called the Snowball Theory. Scientists use the evidence of erosion and deposition left by glaciers to do a kind of detective work to figure out where the ice once was and where it came from. Glaciers are solid ice that move extremely slowly along the land surface. They erode and shape the underlying rocks. Glaciers also deposit sediments in characteristic landforms. The two types of glaciers are: continental and alpine. Continental glaciers are large ice sheets that cover relatively flat ground. These glaciers flow outward from where the greatest amount of snow and ice accumulate. Alpine or valley glaciers flow downhill through mountains along existing valleys. Glaciers erode the underlying rock by abrasion and plucking. Glacial meltwater seeps into cracks of the underlying rock, the water freezes and pushes pieces of rock outward. The rock is then plucked out and carried away by the flowing ice of the moving glacier. With the weight of the ice over them, these rocks can scratch deeply into the underlying bedrock making long, parallel grooves in the bedrock, called glacial striations. 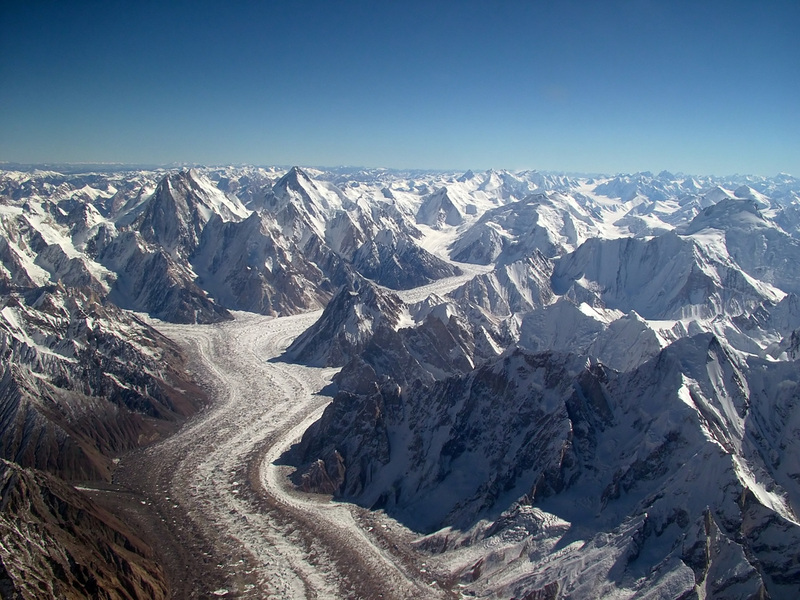 Mountain glaciers leave behind unique erosional features. When a glacier cuts through a ‘V’ shaped river valley, the glacier pucks rocks from the sides and bottom. This widens the valley and steepens the walls, making a ‘U’ shaped valley. For example, Utah's landscape has been greatly influenced by glacial activity of the last ice age. Using Google Maps for our map, first look at Little Cottonwood Canyon and notice how linear the canyon is. That is a direct result of an alpine glacier carving down creating a U-shaped canyon that ultimately ended in Lake Bonneville. Now using the same map, compare Little Cottonwood Canyon with Big Cottonwood Canyon. If you were to drive from the Salt Lake Valley up the canyon, you would notice the canyon to be more V-shaped since because it was carved out by the stream and spring runoff instead of a glacier. The canyon is also more jagged in shape rather than linear like U-shaped canyons. But notice about half way up the canyon, the direction of the canyon changes from the northeast to running southeast. At that pivot point is where the canyon stopped being carved by a river and was carved by another alpine glacier. From that pivot point to the end of the canyon, the canyon because linear and more U-shaped. The cirque, where the glacier originated, is at the head of the canyon is now home to Solitude Sky Resort and a portion of the melted cirque is now called Silver Lake. Smaller tributary glaciers, like tributary streams, flow into the main glacier in their own shallower ‘U’ shaped valleys. A hanging valley forms where the main glacier cuts off a tributary glacier and creates a cliff. Streams plunge over the cliff to create waterfalls. Up high on a mountain, where a glacier originates, rocks are pulled away from valley walls. As glaciers flow, mechanical weathering loosens rock on the valley walls, which falls as debris on the glacier. Glaciers can carry rocks of any size, from giant boulders to silt. These rocks can be carried for many miles over many years and decades. These rocks that are different in type or origin from the surrounding bedrock are glacial erratics. Melting glaciers deposit all the big and small bits of rocky material they are carrying in a pile. These unsorted deposits of rock are called glacial till. Glacial till is found in different types of deposits. Linear rock deposits are called moraines and are named by their location relative to the glacier. . Geologists study moraines to figure out how far glaciers extended and how long it took them to melt away. Lateral moraines form at the edges of the glacier as material drops onto the glacier from erosion of the valley walls. Medial moraines form where the lateral moraines of two tributary glaciers join together in the middle of a larger glacier. Sediment from underneath the glacier becomes a ground moraine after the glacier melts. Ground moraine contributes to the fertile transported soils in many regions. Terminal moraines are long ridges of till left at the furthest point the glacier reached. End moraines are deposited where the glacier stopped for a long enough period to create a rocky ridge as it retreated. 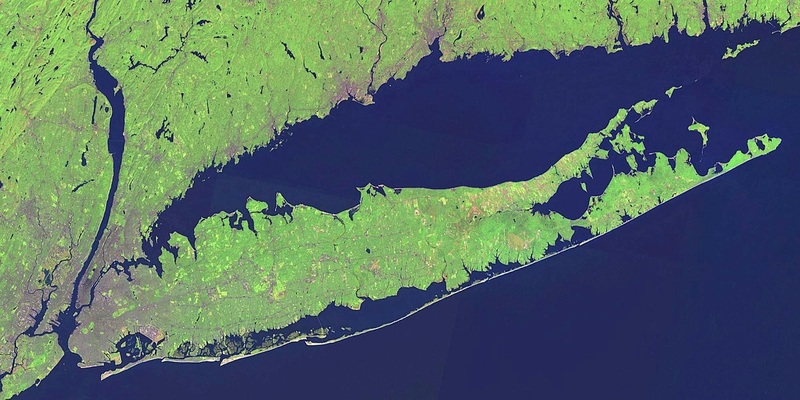 Long Island in New York is formed by two end moraines. While glaciers dump unsorted sediments, glacial melt water can sort and re-transport the sediments. As water moves through unsorted glacial till, it leaves behind the larger particles and takes away the smaller bits of sand and silt. Several types of stratified deposits form in glacial regions but are not formed directly by the ice. Varves form where lakes are covered by ice in the winter. Dark, fine-grained clays sink to the bottom in winter but melting ice in spring brings running water that deposits lighter colored sands. Each alternating dark/light layer represents one year of deposits. If during a year, a glacier accumulates more ice than melts away, the glacier advances downhill. 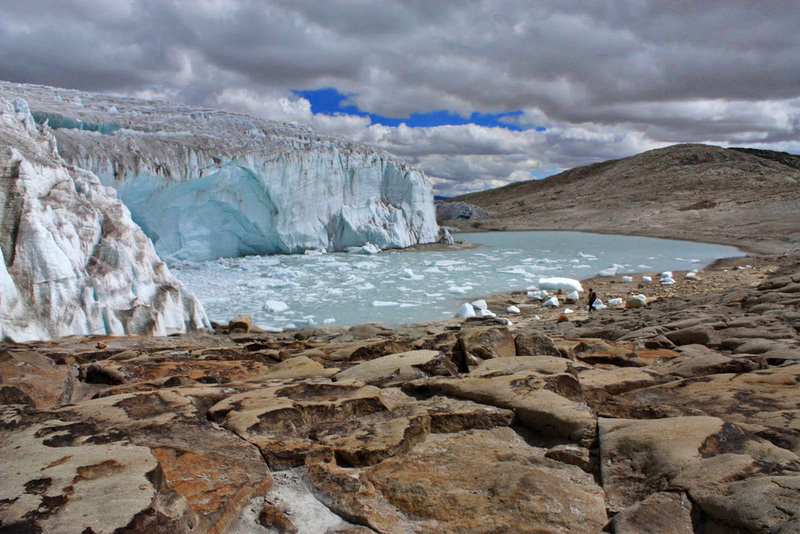 If a glacier melts more than it accumulates over a year, it is retreating. There has been a lot of conversations and research in the scientific community about the dramatic amount of glacial melt that has been occurring around the planet as of late. Glaciers flow incredibly slowly down slope under the influence of gravity. But satellite imagery and on the ground data have shown that these glaciers are melting back and receding at an incredible rate. Because glaciers take so long to form and flow, they are excellent indicators of the temperature of the planet. As the planet has continued to warm over the last 100 years, glaciers from all around the world are retreating back. This is important to humanity because glaciers make up a large portion of the usable fresh water on the planet. As these glaciers melt away, so do huge amounts of fresh drinking water, just at a time when the human population continues to grow at an exponential rate.